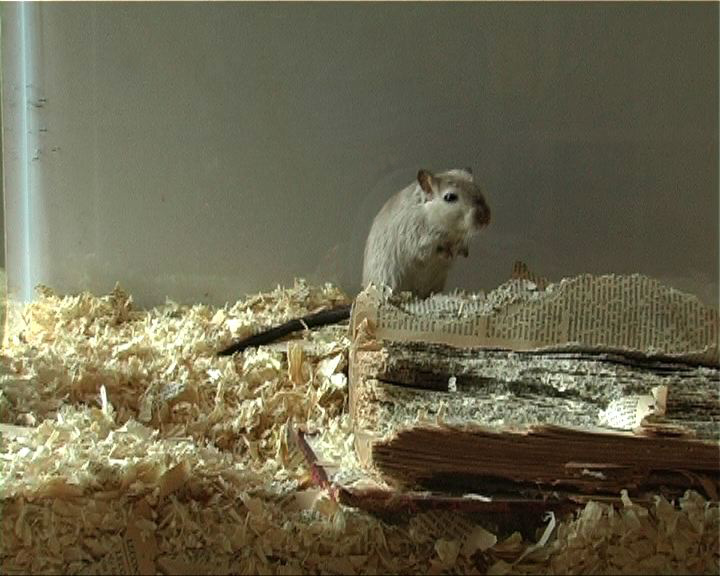 In the gallery there is a live web feed of a gerbil in its cage chewing away at the pages of an old book. The book is a 1933 first edition of the New Illustrated Universal Reference Book. a compendium of carefully compiled, alphabetically organised facts where, to quote from the editor’s introduction, “the reader has a mine of information at his fingertips”. 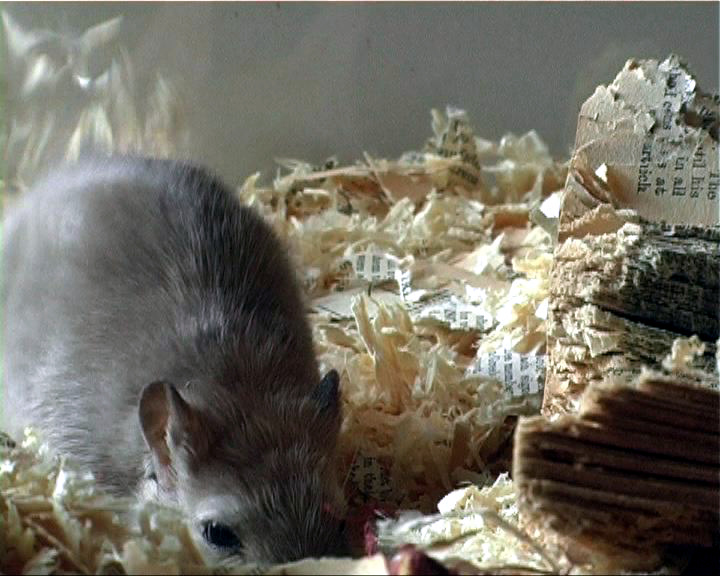 Within theconfines of its restricted living space, this small rodent goes about the business of ‘mining’ the data for its own purposes. 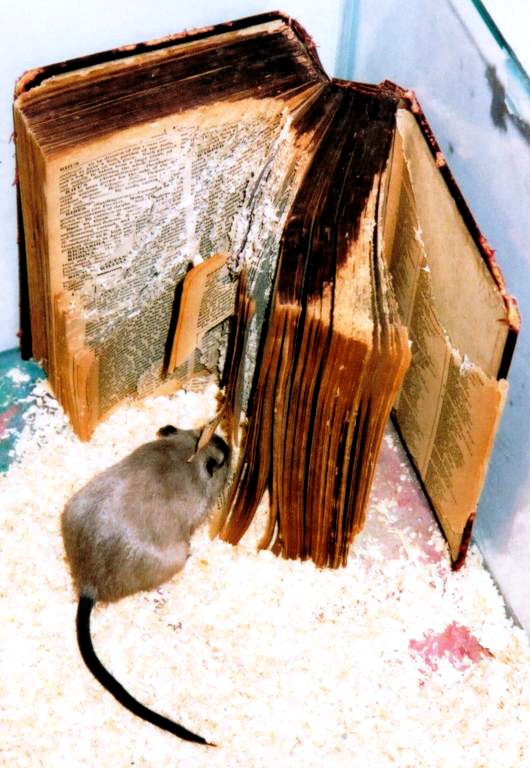 Over a period of several weeks the gerbil has ‘edited’ the book, translating the carefully constructed text into an unruly mass of dislocated fragments, recycling it as material for building a warm and secure nest. 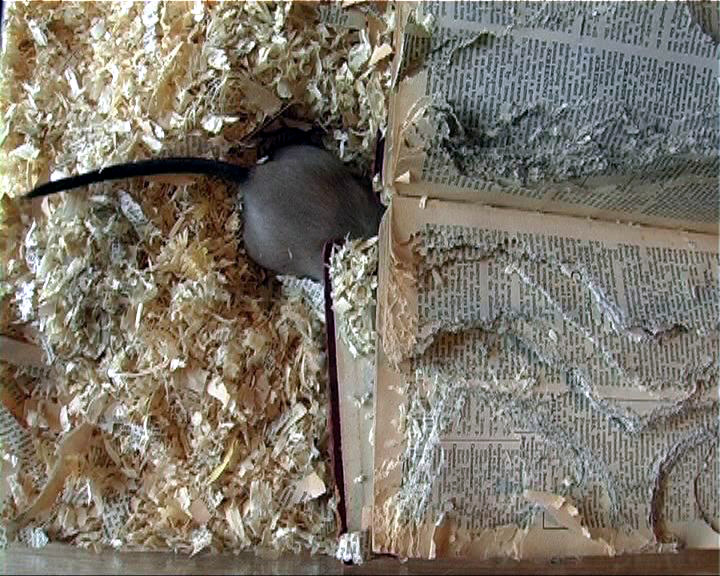 The fate of the book dissolves the architecture of knowledge into that of action. Likewise, the physical object diminishes in size as its shape mutates and disintegrates, and its architecture is demolished. 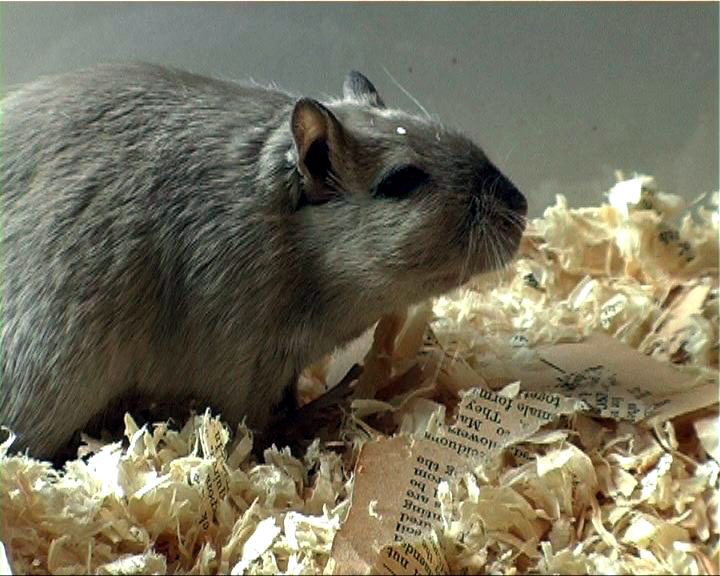 Yet the gerbil as architect works to reconstruct its environment according to its own design. Tom Jennings enjoys Sally Madge’s 2005 show; an art exhibition with real bite.